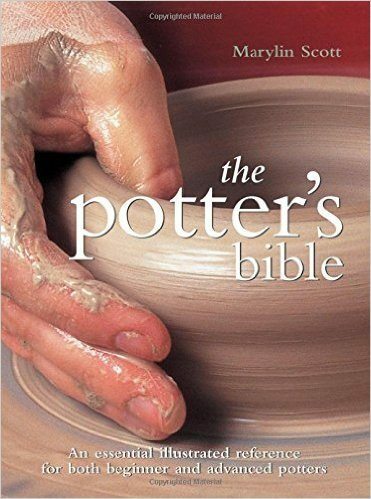 "An excellent beginners guide to pottery. There is everything in here that you will need to know and more. I am a very keen amateur potter and have been attending evening classes for 2 years. I purchased this over a year ago and continue to regularly return to it for reference. A BRILLIANT LITTLE BOOK!" 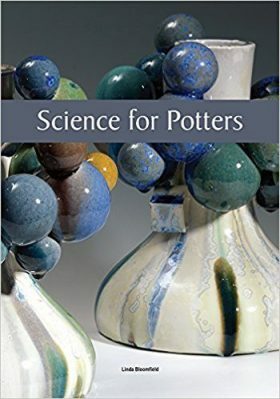 An essential illustrated reference for both beginner and advanced potters, these step-by-step photographic sequences guide you through a comprehensive range of shaping, firing and decorating techniques, so you can begin making wonderful ceramics even if you've never attempted pottery before. Learn about essential tools and equipment, different types and constituencies of clay, methods of production and much more. Includes dozens of ideas for creating textured surface effects and decorations. Over 45,000 copies sold worldwide. This hardcover book with internal wire-o binding is 6.5in x 8in, a perfect size for readers to keep handy and reference often. The stylish design of this book, along with the interior photographs, illustrations and diagrams, make the learning process simple and fun for beginners and provides useful tips for more advanced readers. 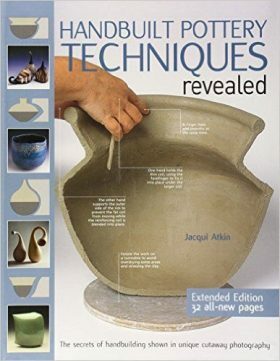 This book will walk you through the essential tools and equipment and different types and constituencies of clay; study methods of building pots using slabbing, coiling, throwing, and molding, and find out how to create a range of different shapes and forms. 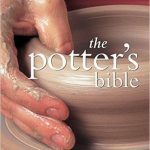 "A very pretty bound book that provides excellent insight into pottery for beginners, it also works as a good reference guide for when you need a quick reminder.."
"A must for beginers and advanced potters. Very clearly written lovely illustrations. Makes a good present for anyone interested in making pottery." "Bought for a novice potter. Each topic is covered well and the page layout is excellent. The spiral binding ensures that the book can be laid open on a work surface without difficulty. If only all similar practical books - especially cookery books - were made this way!" "This is such a good and interesting book. So glad i got it. Tells you in a really easy to understand way what is what in potting. Love it.Amazon is brilliant for these books"
"As a compete beginner I am finding this book to be a great place to start. Quite detailed for a general book. I can't see me needing to buy another book on the subject unless I want something more detailed on a specific area. 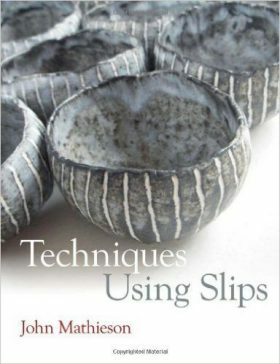 Good buy, I would recommend to a friend"
"loved this little book it's full of everything you need to know about pottery,including different types of clay and glazes too." "Bought this for my daughter-in-law as she is a budding potter and she finds it very usedful. What else can I say"